Mmmm.... bacon bacon bacon. Bacon. Bacon!! I've consumed a lot of bacon over the past few months - at least a couple times a week. That's part of the glory of a paleo diet - eat bacon as often as you want! It works, too - I'm down nearly 45 pounds since August, even after pillaging my mom's and mother-in-law's holiday cookie spreads in a couple days of unbridled Christmassy sugar gluttony. But dare I say it but - bacon gets kinda old after a while. Like, it's still delicious and all, but a good change up is needed. Fortunately my dad cures and smokes his own bacon, and is only too happy to share (Maple bourbon bacon? Yes please!) but when that runs out, well, a little variety would be welcome. Fortunately, there's an alternative to get my inner Gimli all fired up again - Trader Joe's Fully Cooked Pork Belly. There's a train of thought that fresh pork belly, when prepared properly, is better than any salty, cured bacon. This being my first foray into pork belly world, I'm not ready to stake that claim, but I can see where it comes from. Pork belly is, of course, the slab of meat from which bacon is made. Our particular cut seemed to be almost more of a pork roast/bacon hybrid, as it was certainly meatier looking than most bacons I've ever had. And by cut, I mean it's a solid piece - despite the thick cut slabs pictured on the completely unnecessary box, it's a solid chunk that you must cut yourself either before or after cooking. Since we wanted it for a potato soup topping, and I wasn't sure what to expect, I sliced up a few pieces then started dicing the remaining bit once my fingers were beginning to get in potential harm's way. My goodness, the end result was delicious. It took a while over some low heat, but eventually we got crispy, chunky, savory, melty-in-yo'-mouthy baconlicious bites that even our normally meat-averse toddler couldn't help but gobble right on up. The thicker cut chunks that got crispy on the outside but remained tender on the inside - oh man, oh man. I'm not sure if there was just more greasy gristle, or the meatier girth, but whatever it was, this pork belly had it. If you even remotely like bacon, you'll probably love this. 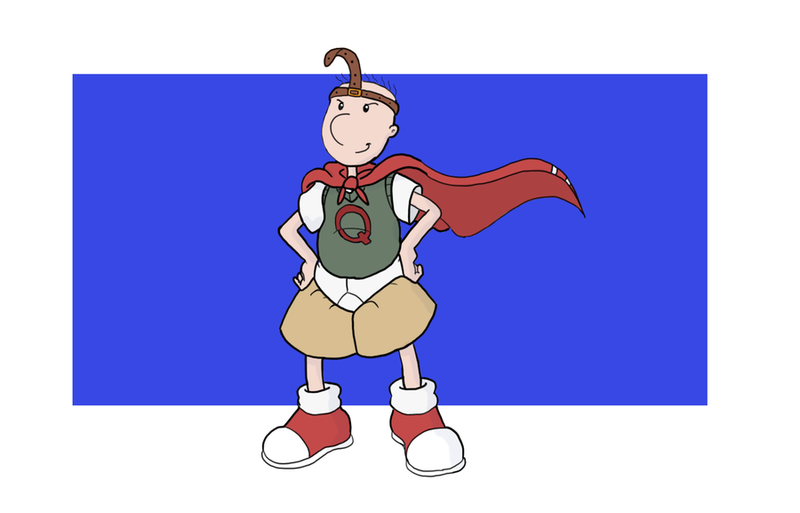 Just be careful during cooking - the extra fat makes some extra-aggressive spatter when provoked - wearing one of these Quailman style might not be a bad idea. A quick Google search of pork belly recipes seems to imply that cooking and prepping your own from raw to edible takes quite a bit of work and/or time (couple hours, minimum from what I see) so this is definitely a fully cooked convenience pack, perhaps not made for the connoisseurs but instead to introduce the masses. Well, consider me hooked - I think I just might start trying to make my own. In the meantime, if I get a real hankerin', this TJ's version will make a quick sub at a fairly reasonable price of $6.49 for the package. The wife and I agree: deeeeeeeeeeelish. Double fours. I'm so excited! Can't wait to try it. I can't wait to try this. Yum! How long does this need to brown on the stove? I bought some, having only had pork belly at restaurants "in" something else. This stuff tastes just like SPAM. I don't know what pork belly tastes like any other way, but first mouthful brought me back to my childhood where I don't know why, we had spam once in awhile. I hated it! So this didn't impress me. Do you defrost it first? I see that in TJ's Fearless Flyer, this wonderful pork product comes from a midwest supplier who also supplies fully cook pork belly to restaurants! Very cool. What is the name of that Supplier? Thanks. This pork is amazing! Its my go to when I make homemade Ramen soup. Crisp this bad boy up in the oven, slice and go! The worst product Trader Joe's have sold to date. This pork belly is precooked.... meaning they boiled the s**** out of it. Nothing can save this. I tried to roast... pan cook... bake... and Lord knows what else. However, the pork belly texture is stringy and stew like texture. Totally processed. 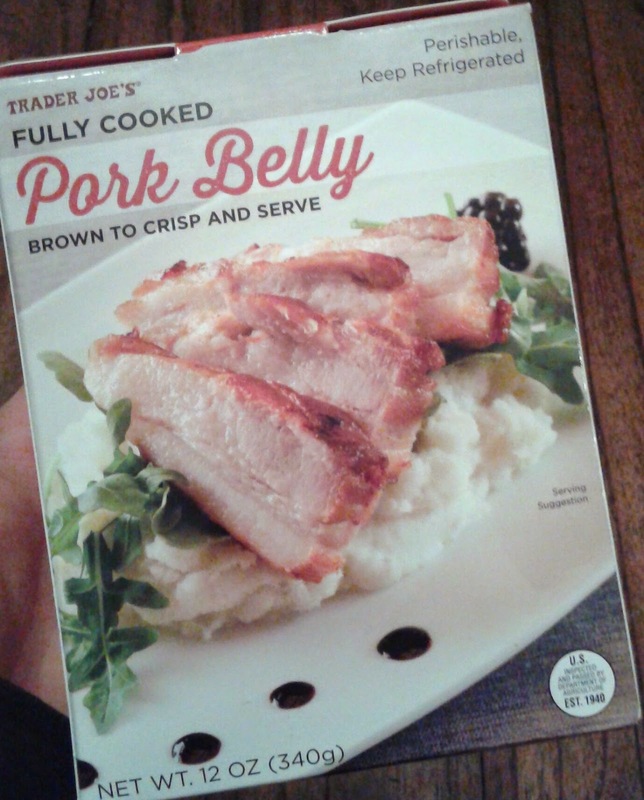 I'm very disappointed Trader Joe's felt the need to destroy the possibilities with how their customers can cook this pork belly. Also, it leaves a bad after taste due to the over processed 'precooked' preperation. I find it quite palatable.